A sleek and trendy way to display side dishes. 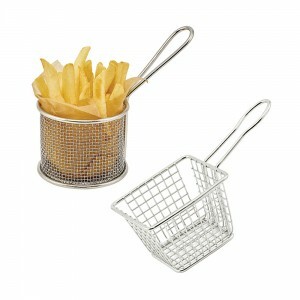 a great way of serving fries, calamari, onion rings, and other snacks! 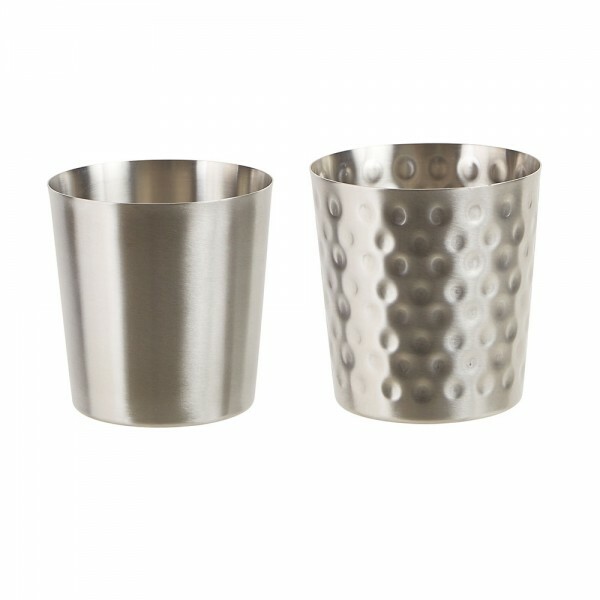 Categories: FRONT OF THE HOUSE, MINI SERVING BASKETS & FRY CUPS, SMALLWARES, TABLETOP. 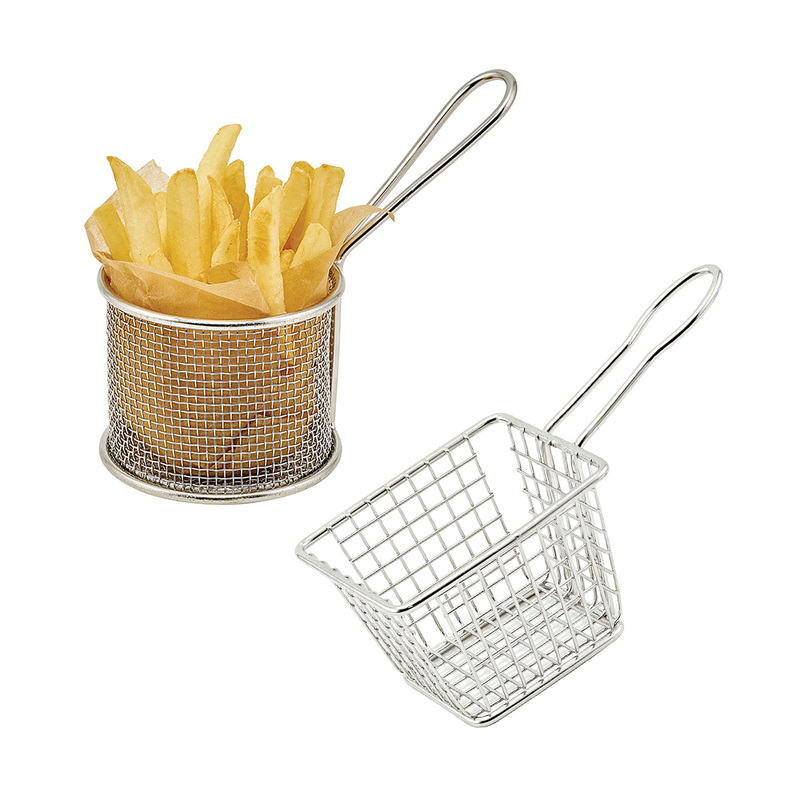 A novel way to present a variety of foods, side dishes, and appetizers, these mini fry baskets are great for adding some contemporary style to a buffet setting or tabletop dining.